City's Transfer Target Identified, Former Buccaneers To Reunite? Former Orlando Pirates’ Ghanaian forward, Bernard Morrison, could make a return to the PSL with a top club showing interest. 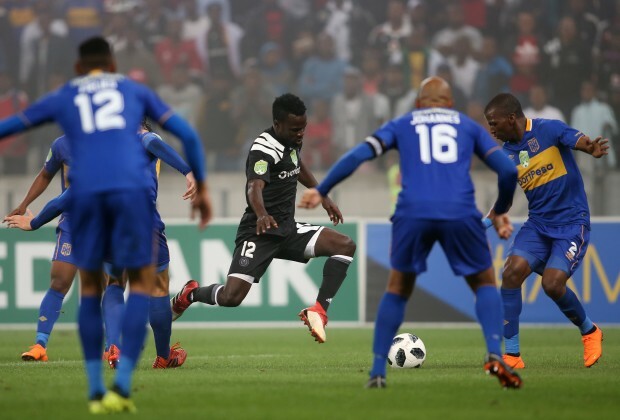 The 26-year-old, who made a name for himself as one of the top talents from his country with Ashanti Gold and the Democratic Republic of the Congo outfit AS Vita Club, landed his first ever deal in South Africa’s topflight with Pirates in 2016. Prior to joining the Buccaneers, Morrison was heavily linked with Sundowns, following his impressive performance for AS Vita against the Brazilians during their 2016 CAF Champions League preliminary round match. However, Morrison struggled for regular game-time at Pirates, which led to him parting ways with the club last year. Chippa United were keen on signing the player, but the Ghanaian opted for a move elsewhere. He joined DR Congo side DC Motema Pembe in August last year. As things stand, the player is currently unattached, having since parted ways with the DR Congo outfit. News reaching the Siya crew is that Cape Town City is monitoring the player's situation. “Cape Town City have been interested in Bernard Morrison since January this year. However, at the time the club didn’t have space in their foreign quota. It was decided that further negotiations would be resumed towards the end of the season,” said the source. Following the departure of Matthew Rusike to Norwegian Premier League side Stabaek, the Citizens will be expected to reinforce their attack for the 2019/20 season. Should he join City, Morrison would be reunited with his former Pirates teammate Riyaad Norodien, with both players having arrived at the Soweto giants around the same time in July 2016 from AS Vita and Ajax Cape Town respectively.